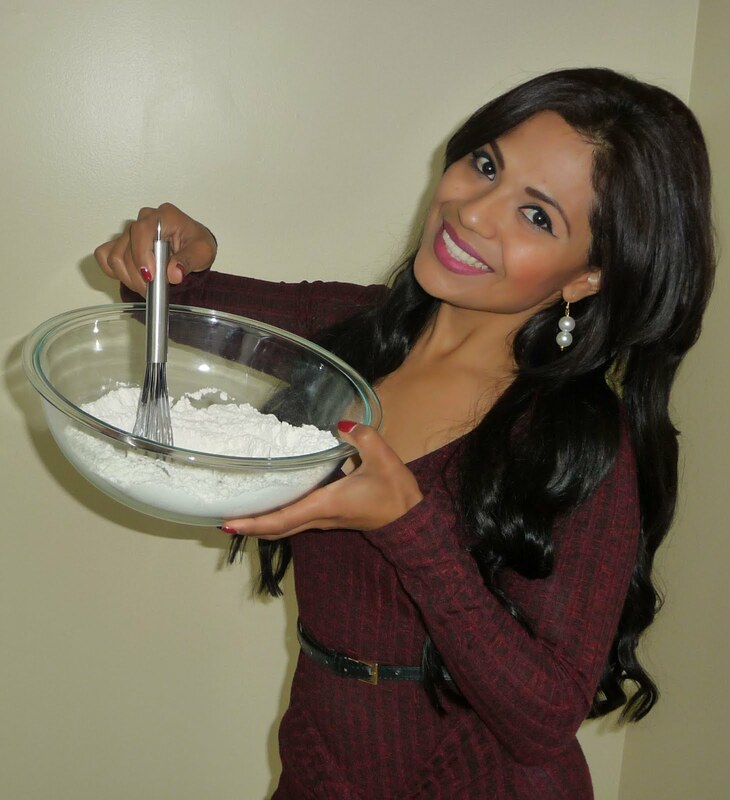 Here you have the perfect recipe for this Xmas or New Year’s Eve, it’s so easy and delicious! I hope you like it. So blend all the ingredients in the blender on high speed for about 2 minutes or until well combined into a sauce. 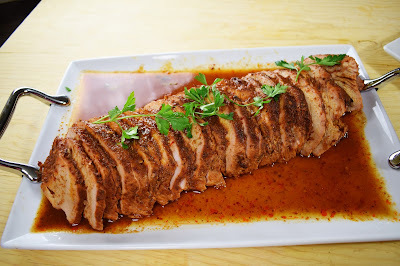 Pour the Chipotle sauce all over the Pork Loin and rub the sauce really well onto the pork loin, make sure the meat is well seasoned on all sides. And also try to get some of the sauce in the cuts you made on the pork loin. Before you place the Pork Loin into the oven, baste it with the beer liquid, then cover it with aluminum foil, the bake it at 350ºF for one hour. After an hour, remove it from the oven, set the oven temperature to 400ºF. Baste the Pork Loin with its cooking liquid, leave it uncovered and place it in the oven and continue to bake, uncovered, for about 40 more minutes or until the Pork Loin is well cooked. The internal temperature of the Cooked Pork Loin should be 160ºF. After it reaches that temperature the loin is ready. Remove it from the oven, baste it again with its cooking liquid, cover it with aluminum foil, and let it stand for 5 minutes before serving it. Garnish with a bit of its own cooking liquid and fresh parsley. Enjoy!